Caring is a vocation for our staff. They are people with a ‘can-do’ attitude who really do care about our residents. As well as qualifications and experience we look for kindness, empathy and cheerfulness when we recruit team members. 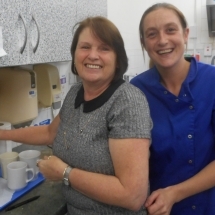 Most have been with us for several years and built up strong friendships with residents and their families. 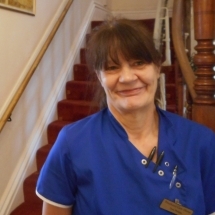 Our Registered Manager, Julie Farrell, has managed Pinehurst for 8 years and has 30 years’ experience in care. 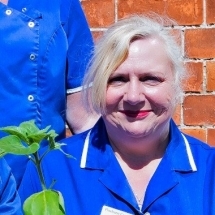 She is supported by a team of senior carers and care assistants. 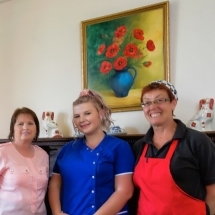 Our friendly cooks, housekeeping and maintenance staff have been working with us for a long time, know the residents, and are valued members of the ‘Pinehurst family’. New employees go through a stringent vetting procedure including personal references checking and DBS checks. 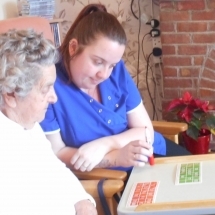 Most have formal care qualifications – NVQs. 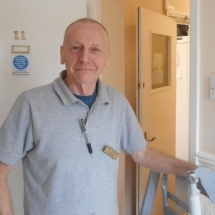 We regard training as extremely important and we encourage our carers to continue their formal training while they work at Pinehurst, to gain higher NVQs and develop their skills and understanding of our residents’ needs. 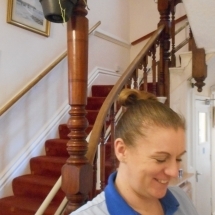 We also employ specialists to organise frequent in-house training sessions, so that knowledge and techniques are kept up to date.